It's all about the right data! Hi. This is AdaM. Less is More! 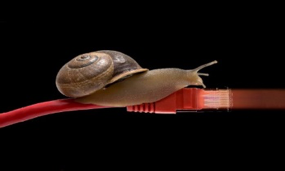 It's time to take advandage of adaptive monitoring. 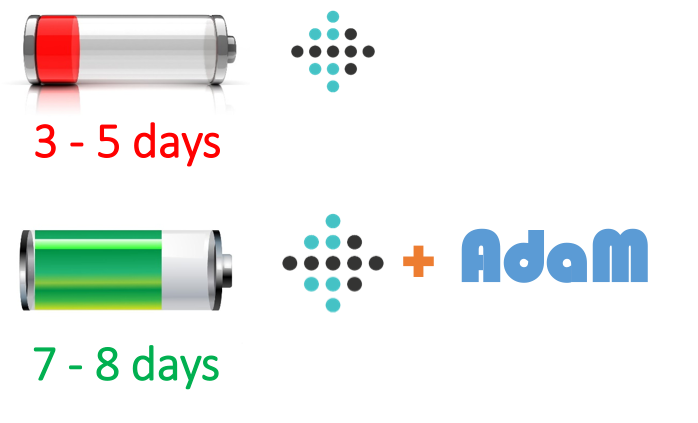 Reduce data volume and battery consumption of your IoT devices! It's all about collecting the right data! Let AdaM control the data collection process. Less data allows your analytics to be available instantly. 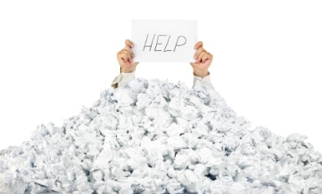 Lower your cloud service bills by needing less resources! 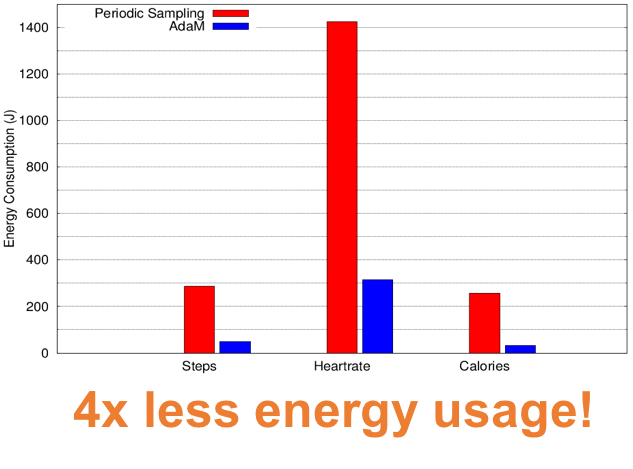 Let AdaM's automated and lightweight algorithms reduce the energy consumption of your IoT devices by reducing the processing load required to collect and analyse data. 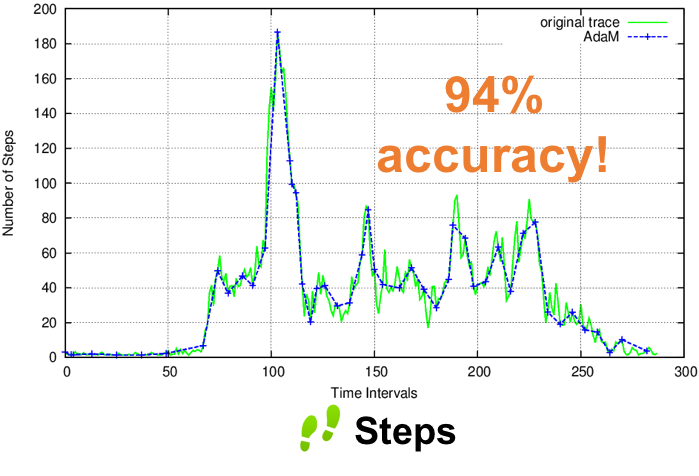 How does AdaM's adaptive monitoring work? AdaM features automated and lightweight algorithms that inexpensively and in place adapt the monitoring intensity of your IoT device. 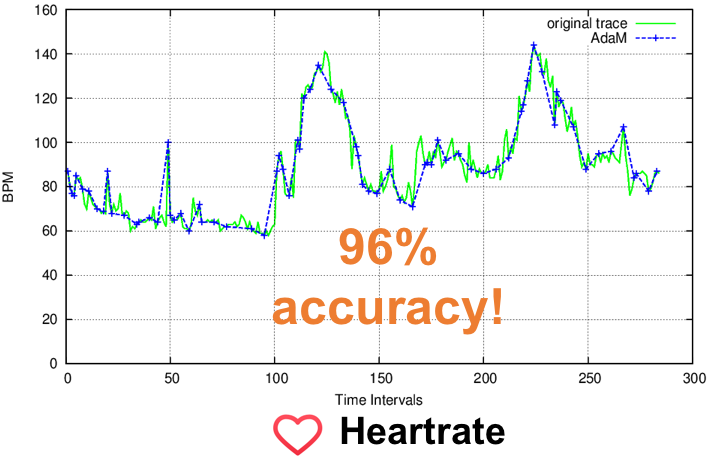 AdaM's algorithms study and predict in real-time the evolution and variability of the metric stream! 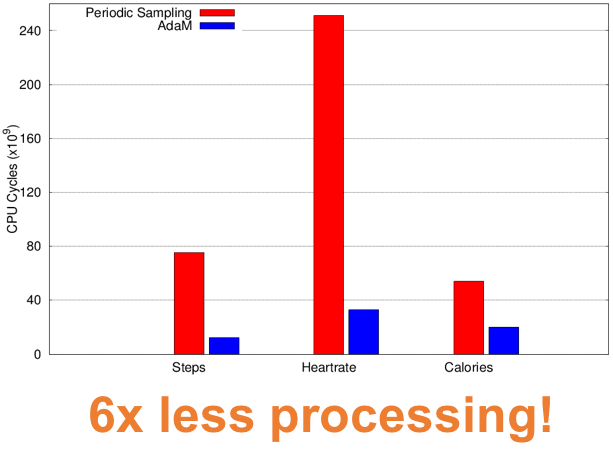 So in simple words, as metrics are collected they are analysed and if the metric stream isn't really changing then AdaM will change the sampling rate. This way less values are collected (so less data!) 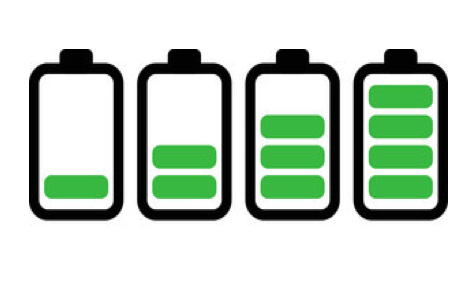 allowing your device to be in idle state more often to reduce the energy consumption (more battery life!) associated with metric collection. Oh... AdaM also features a filtering module allowing for the metric delivery from your devices to consumed endpoints to be supressed if the metrics to be delivered, again, don't really differ from consecutive values in the metric stream. Well, AdaM has been extensively tested with experiments on real-world data from physical servers, internet security services, wearables and intelligent transportation systems. 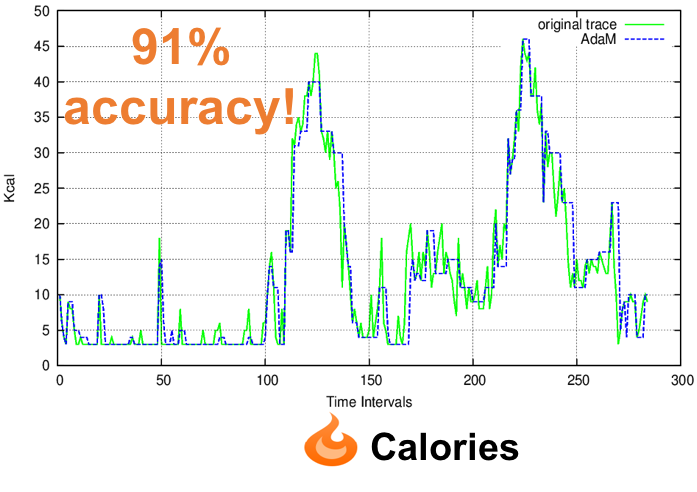 These experiments show that our framework achieves a balance between efficiency and accuracy with AdaM capable of reducing data volume by at least 74%, energy consumption by at least 71%, while preserving a greater than 89% accuracy. Let's see how AdaM works when fed with real data from a fitbit activity tracker while emulating it's behavior. For more experiments on real-life testbeds have a look at our publications and presentations! And how do I get started with AdaM? Well, this is the easy part! What are these parameters AdaM uses? - Tmin and Tmax form the acceptable range that AdaM is allowed to use when adapting your device's sampling period. If you don't know or don't what to cap AdaM then just use two values that are the same (e.g., Tmin = 0 and Tmax = 0). - e is the maximum acceptable error (e.g., 0.1 meaning AdaM will always provide at least 90% accurate predictions) that you are willing to tolerate. AdaM performs predictions for the metric stream evolution with the error bound selection being made available to you! AdaM isn't limited to streams. Use AdaM in batch mode to reduce the size and compress your datasets to ease application processing and generation of analytics reports. Use path_to_dataset and optional true/false print_to_file as params. Dataset must be in .csv format with data point containing timestamp followed by value. Example and real datasets can be found at AdaM's github repo. 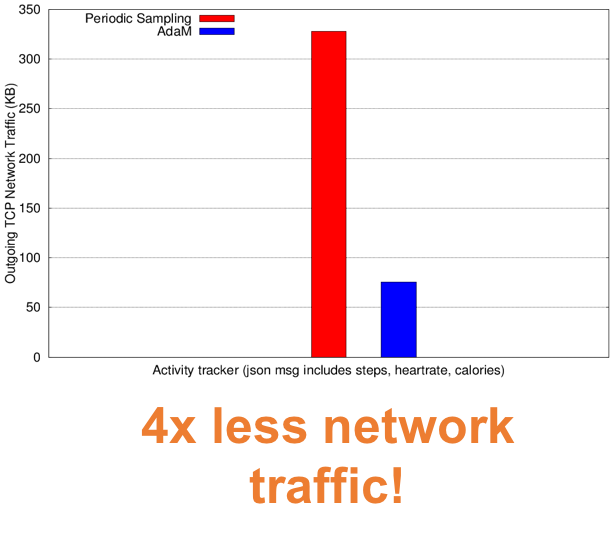 AdaM: an Adaptive Monitoring Framework for Sampling and Filtering on IoT Devices. Trihinas, D.; Pallis, G.; and Dikaiakos, M. D. In 2015 IEEE International Conference on Big Data (IEEE BigData 2015), October, Santa Clara, USA, 2015. PhD student and researcher at the University of Cyprus. Dipl.-Ing in Electrical and Computer Engineering from National Technical University of Athens (NTUA). Lives, breathes and thinks in the elastic “cloud” full of internet-connected "things" and is always open for a challenge to tweak the performance and scalability of distributed systems and apps. 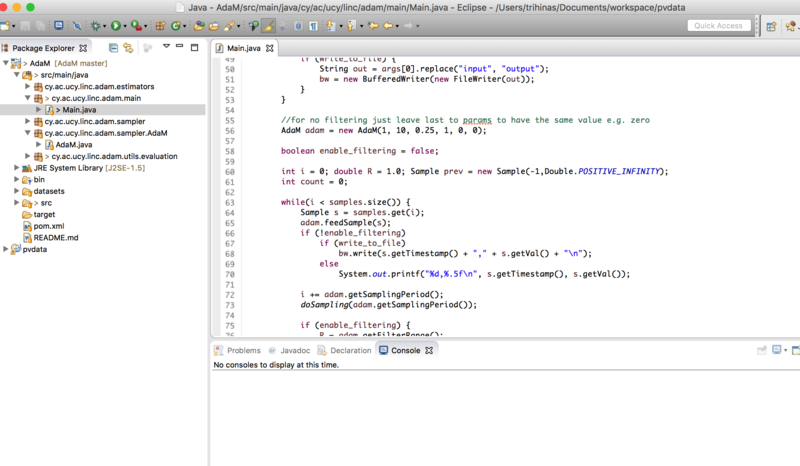 Person behind the JCatascopia cloud monitoring system and member of the Eclipse Cloud Application Management Framework. Assistant professor at the Computer Science Department, University of Cyprus. His research interests include Cloud Computing with focus on Cloud Elasticity and Monitoring, Content Delivery Networks and Online Social Networks. His publication record is now at more than 60 research papers which have appeared in journals, book chapters, and conferences. He is Associate Editor in Chief in the IEEE Internet Computing magazine and he is also editing the "View from Cloud" department in this magazine. Professor of Computer Science at the University of Cyprus and Director of the University’s Centre for Entrepreneurship. He received his Ph.D. in Computer Science from Princeton University in 1994. His research fo- cuses on large-scale distributed systems with em- phasis on Cloud Computing, Online Social Networks and the World-Wide Web. He has directed many funded research projects, published over 160 original peer-reviewed scientific papers, and lead the development of several (open-source) software tools.